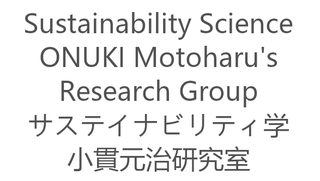 SUSTAINABILITY EXPO was held as an open campus event of Kashiwa Campus, The University of Tokyo. This event was organized by GPSS studetns and consists of 4 invited speakers lectures and discussions. I'd like to express my sincere thanks to the lecturers and those who came and joined these lectures. In addition, I'd like to conratulate students on successful events! Click here for more detailed information and programs.